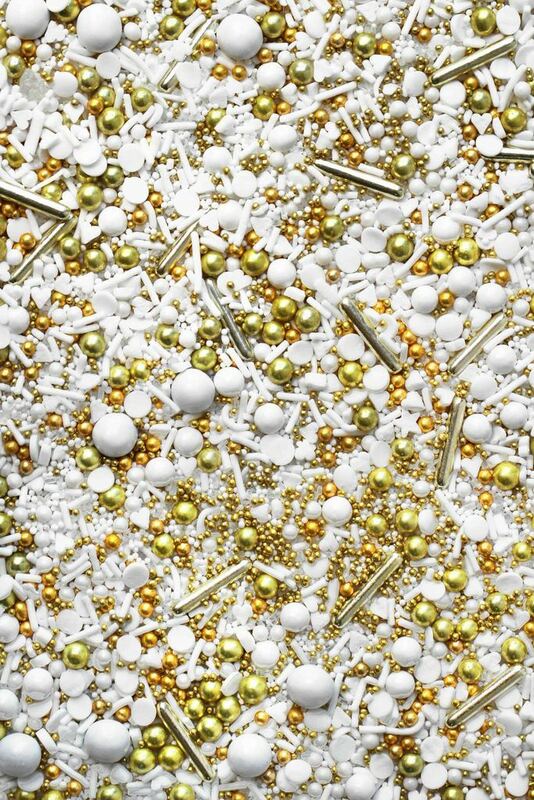 Gold Digger is an all white & metallic gold mix with chunky white rock sugar and loads of shimmery confetti. A true show stopper. All sales are final. Due to food safety issues, we cannot accept returns or exchanges. If your item is damaged by post office neglect, we, unfortunately, cannot refund your order. We seek to offer the highest quality products. If your item is defective, please e-mail Info@fancysprinkles.com and we will quickly remedy the issue. If you wish to cancel an order, you may only do so within 24 hours of placing the order. Once 24 hours passes, we will not issue a refund, only a store credit. 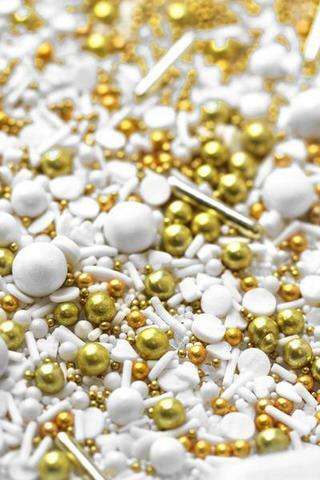 Disclaimer: Some of our Deluxe Blends contain candies, sugar pearls, candy beads, etc. that may be too hard for young children to chew. Please be careful when distributing these items to kids. Some of our products contain small, round, pieces that present choking hazards to small children. Please keep your jars stored high, safe, and away from babies and toddlers. 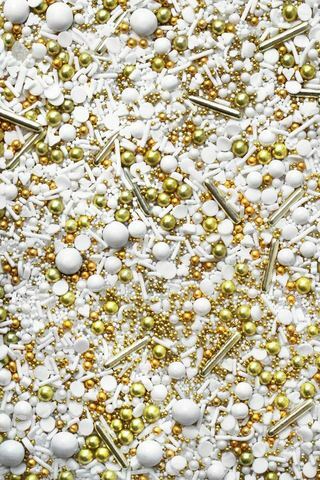 Brown & Sugar & Fancy Sprinkles™ is not responsible for any injuries involving our products.